You have been confined to your quarters for the duration of this podcast to listen to our Top 5 Scenes in a Brig, the latest in our "Scenes in Trek" series. 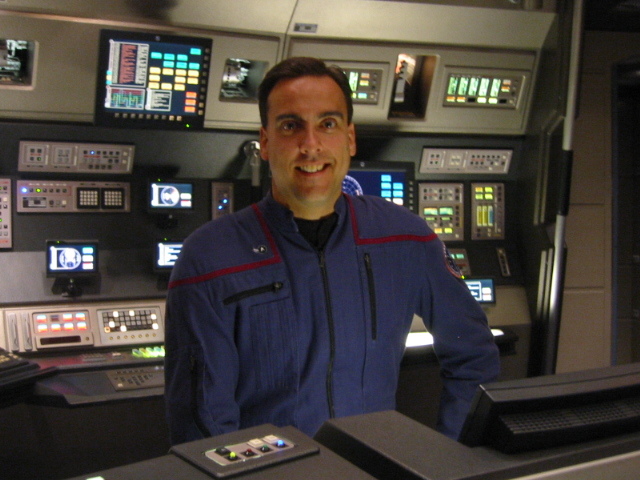 Brigs on Star Trek are oft-seen and oft-heard, and we get deep into the lore of Trek&apos;s most famous holding cells with host Jim Moorhouse and guests Scott Matteson and Rick Tetrault. No location is too deep for us to explore in our "Scenes in Trek" series. The detailed conversation highlights scores of great moments through Star Trek&apos;s 50-plus year history of brigs, holding cells and being confined to your quarters! The Diagnostic Cycle this week breaks down exactly where the word Brig comes from before the crew jumps into our usual Prime Directive, where there are many different ways to define confinement. After breaking it all down, our participants move into The Order of Things to reveal their "Five Word Summary and a Hashtag" for each of their Top 5 Scenes in a Brig (and the episode in which it appeared). 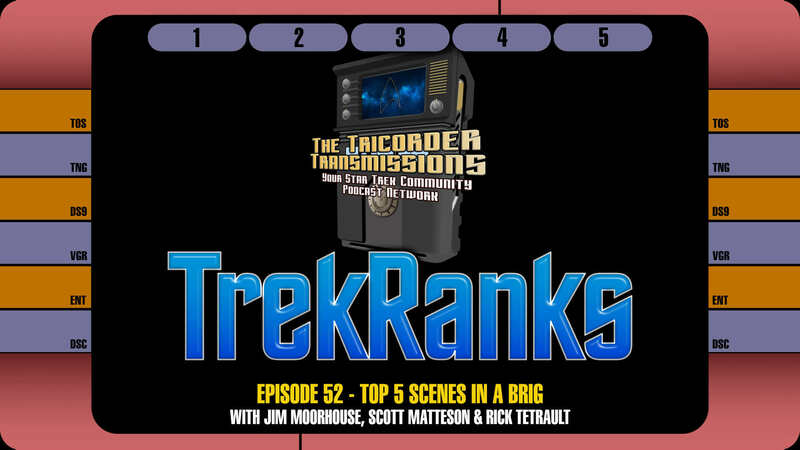 And if that wasn&apos;t enough, the Secondary Systems choices are among the most comprehensive in TrekRanks history, as the hosts rattle off another 20 or more episodes to get even deeper into the topic. As always, Jim also briefly reviews some of the interesting statistical anomalies that emerged from their selections in the Regeneration Cycle. The episode concludes with a visit into a Temporal Causality Loop as we flashback to three previous episodes for feedback from our listeners (including our Top 5 Klingon Episodes, our Top 5 One-Off Heroes and our Top 5 Weirdest Characters). As always, make sure to hail us at 609-512-LLAP (5527) and record your own personal TrekRanks log to let us know your Top 5 Scenes in a Brig. Your comments might be used via a Temporal Causality Loop in an upcoming episode.